The first major study to evaluate PSA screening for prostate cancer in a China has found that the currently-used PSA screening test cutoffs are far too low and will lead to overdiagnosis and over treatment. They found that the overall rate of positive biopsy (47%) was much higher than that seen in western countries (less than 35%), but the positive biopsy rate had fallen gradually over the last ten years. 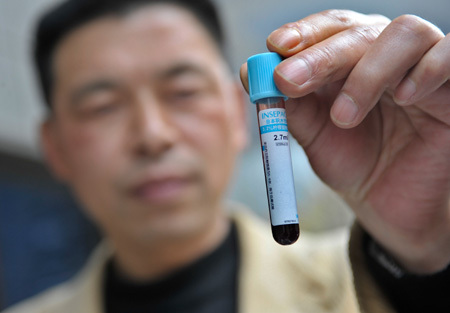 "This may be due to the fact that PSA testing was not popular in China in earlier years and patients were more likely to be biopsied because they were experiencing other symptoms (e.g. hematuria, dysuria). Therefore, they observed higher detection rates of prostate cancer and dropped thereafter due to widespread use of PSA test," the researchers say. However, their study also showed that the current benchmark PSA level of 4ng/ml for suspicion of prostate cancer - as used in western countries, was inappropriate for the Chinese population. Only 5% of men with a total PSA level of 4 ng/mL were diagnosed with prostate cancer, much lower than rates in western countries. Even men with a PSA level of 10 ng/mL had lower risk (15%) than men studied in western studies. The tPSA levels at diagnosis for Chinese men were much higher than levels for men in western countries. The tPSA level at diagnosis fluctuated from 28.6 ng/mL to 50.9 ng/mL (median), while in western trials the median ranged from 11.8 ng/mL to 6.3 ng/L. "We suggest that when using a PSA of over 4 ng/mL as cutoff value for prostate biopsy, fPSA/tPSA, PSAD or other clinical information should be comprehensively considered before a new cutoff value is set up based on further prospective and larger population studies," they add.